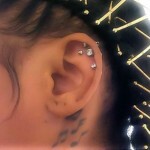 Kelis has a tattoo behing her right year with the name Jones – last name of ex husband Nas and their daughter. 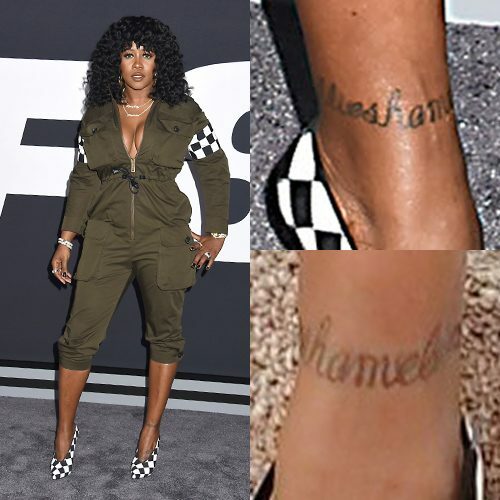 Remy Ma has a tattoo on her ankle with her husband Papoose’s real name Shamele Mackie and another word before it. 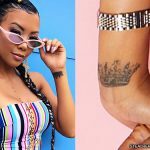 This heart tattoo on Monica’s left wrist is a tribute to her husband, NBA player Shannon Brown. 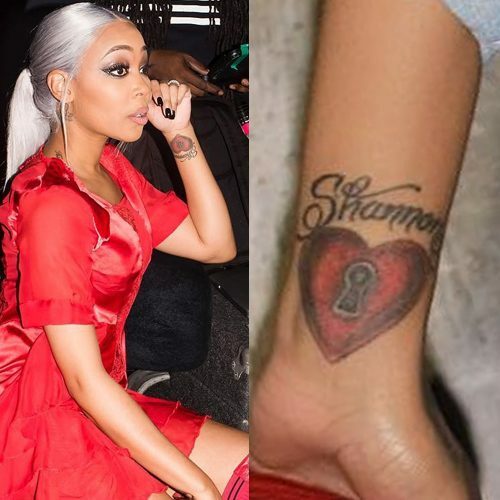 The red heart has a keyhole in it and Shannon’s name above, symbolizing how he is the key to unlocking her heart. 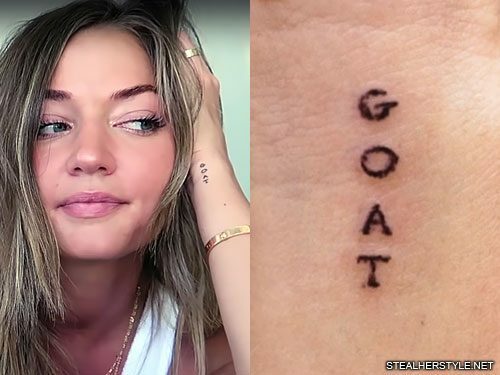 Sia had her ex-husband Erik Anders Lang’s first name tattooed on the undersides of her fingers. Each letter of “ERIK” is on a different finger in a different color ink. He had a matching tattoo saying “SIA” in the same spot. They were married from 2014 to 2016 but unfortunately they are no longer together, telling People: “After much soul searching and consideration we have made the decision to separate as a couple. We are, however, dedicated to remaining friends. There will be no further comment.” Sia keeps her personal life private and hasn’t said much about the marriage or the divorce. 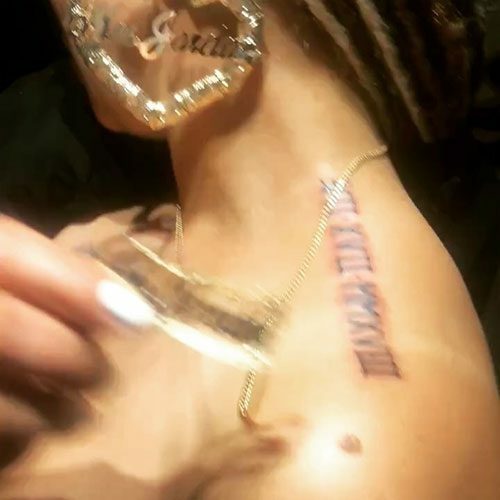 Faith Evans got a new tattoo in July 2018 following her wedding to fellow R&B singer and producer Steven Aaron Jordan aka Stevie J. 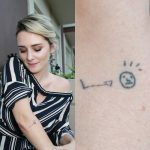 The couple were wed in their Las Vegas hotel room on July 17, 2018 and they wasted no time getting the relationship sealed on their skin, showing off their matching tattoos on instagram only a week later. Both Faith and Stevie got their wedding date in Roman numerals on the tops of their shoulders — VII•XVII•MMXVIII for July 17, 2018. 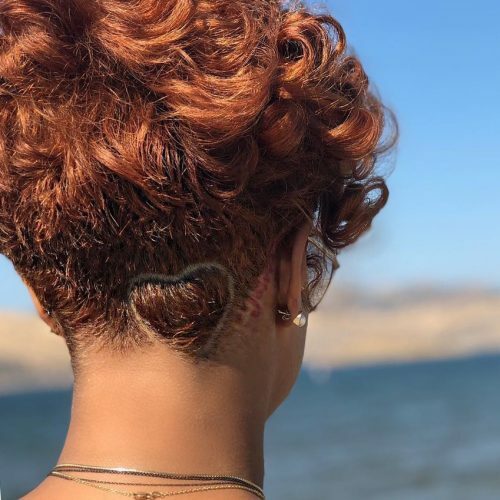 Stevie also tattooed her initials in front of his ear — FRJ for her new married name Faith Renée Jordan. Although the marriage was an impulsive decision, it’s been decades in the making. Their professional relationship dates back to the mid-90’s, when Faith was signed to Bad Boy Records and Stevie J was one of the label’s in-house producers. “We’ve loved each other for years, been great friends for years, and obviously developed a romantic connection,” she told Acton Entertainment. 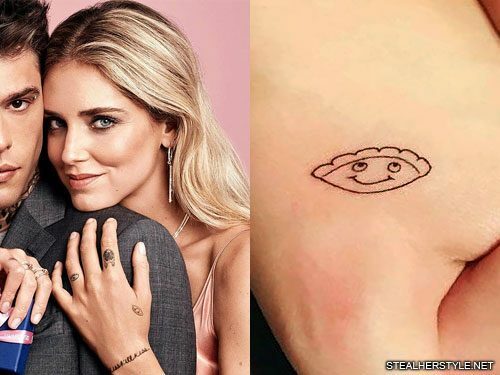 Chiara Ferragni and her now-husband Fedez got matching tattoos on their hands of a raviolo with a cutesy smiley face (we Americans would call it a ravioli but technically that’s the plural form). While a pasta dumpling might seem like a strange idea for a tattoo, it’s significant to the couple because Fedez calls Chiara “raviolo” as an affectionate nickname. Now that they have a baby they call him “raviolino,” meaning little ravioli. This tattoo was done by Jon Boy in March 2017 and it was the first time in nearly four years that Chiara had been inked by anyone other than her favorite artist Dr Woo. 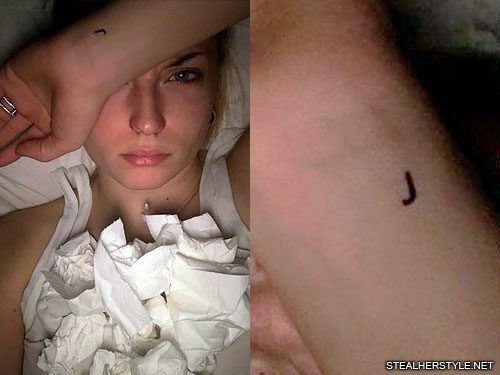 Sophie Turner got this little “J” tattoo on her wrist for Joe Jonas in February 2018. He has a matching “S” for Sophie in the same spot. Jaime King has the name of her husband – Kyle inked on her left wrist.